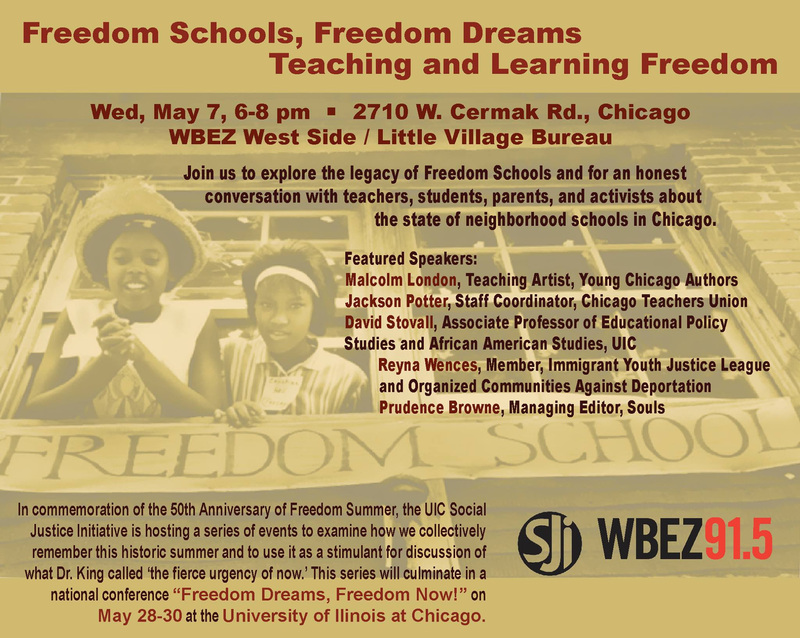 Join us at our Teaching and Learning Freedom event on May 7th at the WBEZ Little Village Bureau. 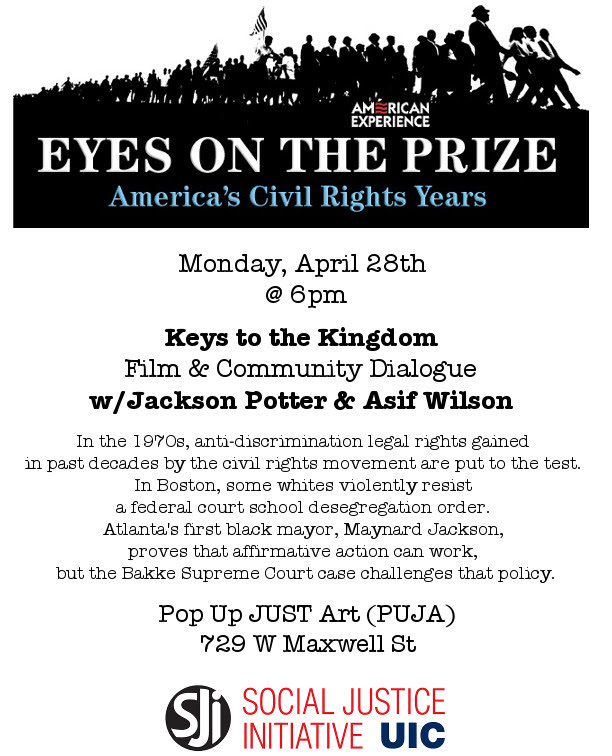 Next week's Eyes on the Prize community dialogue facilitators are Jackson Potter and Asif Wilson. Lastly, make sure to participate in our May 21stTwitter Town Hall and also attend the UIC Feminist Film Series taking place this week! 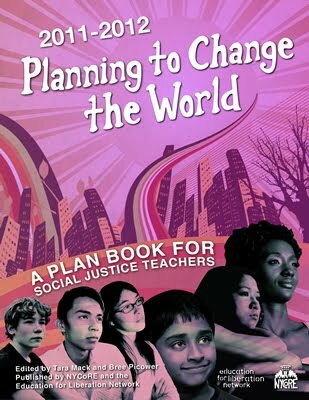 A documentary film series that will engage students on issues of sexual violence, community responses, restorative justice, envisioning a feminist future, and more. 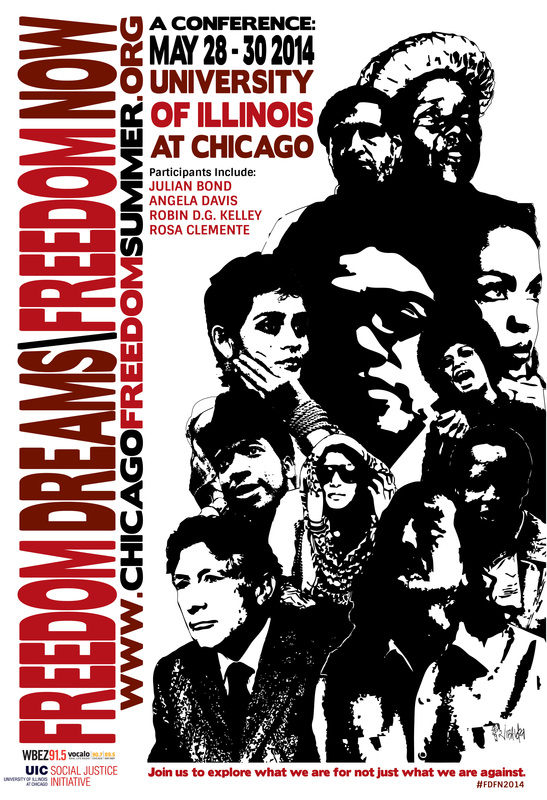 Nights of critical conversations, dialogue, and sharing of resources. 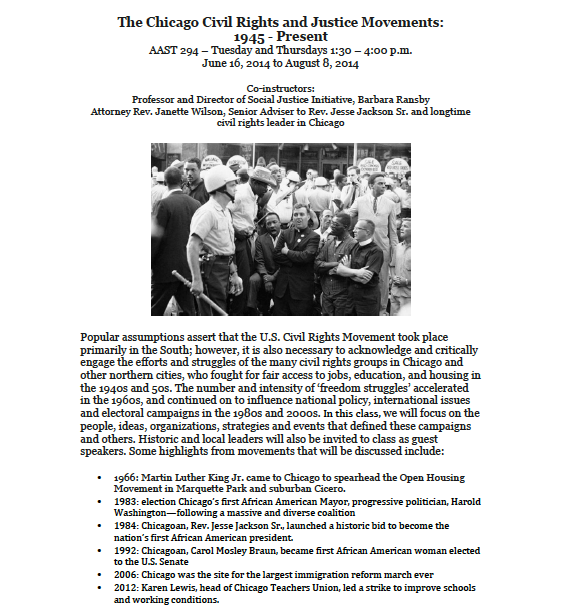 The Social Justice Initiative invites you to attend a conference commemorating the 50th Anniversary of Freedom Summer ’64.